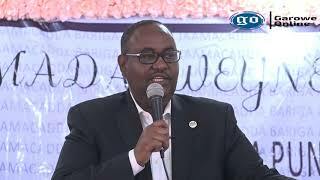 BOSASO, Puntland - Somali regional officials say the Iranian captain of a fishing boat was killed and another sailor was injured after security forces opened fire during an operation in the Indian Ocean. Officials said the shooting occurred after Puntland Maritime Police Forces spotted two boats suspected to be fishing illegally Friday in Somali waters. 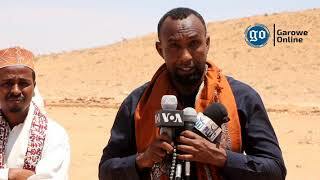 Colonel Mohamed Abdi Hashi of Puntland police told VOA Somali the two boats ignored orders to stop and attempted to escape. “Our security forces were conducting an operation on October 6, they encountered two illegal fishing boats off Ras Hafun coast. When they tried to stop them in order to check their permits they escaped,” he said. Colonel Hashi said during the shooting captain Haydar Abdalla Sabiil of the vessel Al-Sa'idi was killed and a second sailor was injured, 16 others are unharmed and were apprehended, he said. The boat carrying the sailors have arrived at Bosaso port for questioning. The boat is carrying two tons of fish illegally caught in Somali waters, officials said. Officials did not release the name of the dead sailor. 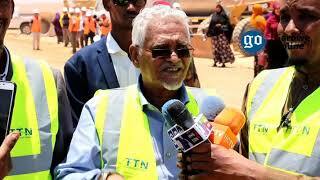 Colonel Hashi says he wasn’t sure if Somali political leaders have made any contact with Iran about the incident. Illegal fishing in Somali waters occurs often according to maritime organizations. Most of the boats illegally fishing in Somali waters come from Iran, Yemen, China and number of Southeast Asian countries, according to the organizations. A 2015 report by the U.S.-based watchdog, Secure Fisheries, says foreign fishing boats caught more than 132,000 metric tons of fish off Somalia in each of 2013 and 2014, while local fishermen caught only 40,000 metric tons. 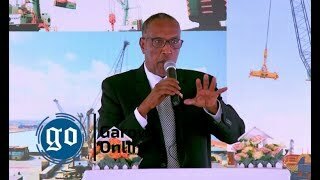 In monetary terms, foreign vessels have out-earned their Somali counterparts by nearly $250 million per year, the report said. Other maritime organizations have often warned illegal fishing sparks increases of piracy activities in Somalia waters. In late 2015, Puntland seized six boats and dozens of sailors from Iran and Yemen. They were all released after heavy fines and confiscation of their catch. Last year, Somalia received a $65,000 fine from the owners of Belize-flagged vessel, Greko 1, which was found guilty of fishing illegally in Somali waters. The European Union Naval Force (EUNAVFOR), which combats piracy activities off the coast of Somalia, tipped the Somali authorities and international watchdogs about the fishing activities of Greko 1. Jacqueline Sherriff who is a spokesperson for the EUNAVFOR tells VOA Somali an important part of its mandate is to monitor fishing activities off the coast of Somalia. “That vessel, the only reason that we could successfully prosecute that vessel is that the EUNAVFOR provided photographic evidence and location evidence that it was actually illegally fishing in Somali waters,” she said. Sherriff said the EU office in Brussels works with the Indian Ocean Tuna Commission, an intergovernmental organization responsible for the management of tuna and tuna-like species in the ocean, to investigate illegal fishing cases. 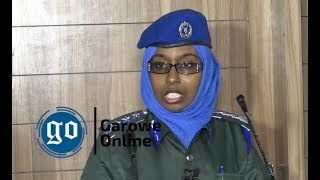 She said if EUNAVFOR naval ships see a vessel that is not Somali actively engaged in fishing they take a note of the vessel, its location, its name, the color of the vessel, what type of fishing gear it has deployed and then pass on the information to the maritime watchdogs.